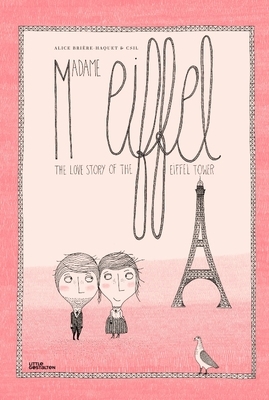 Everyone knows the Eiffel Tower, yet no one knows the love story that led to its construction. Author Alice Brière-Haquet and illustrator Csil have pooled their creative talents to tell this touching story about overcoming hardship with clever invention fueled by love. Mr. and Mrs. Eiffel are a happy couple enjoying living in the most romantic city in the world, Paris. Until one day, Mrs. Eiffel begins to feel desperately unwell. The experts are unanimous: the only thing that can save her is fresh air. Her husband, a bright engineer, decides he will take matters into his own hands and build a tower that will reach the clouds in an attempt to restore her health. New York Times Best Illustrated Children’s Book of 2015. "The artwork and text combine to create a delightful fairy tale . . . Pure joie de vivre." "Csil’s intricate, spidery drawings are the work’s great charm . . . [E]ach spread has its own complex eccentricity."